What will happen when our cities are too hot to control and live in, can we manage? 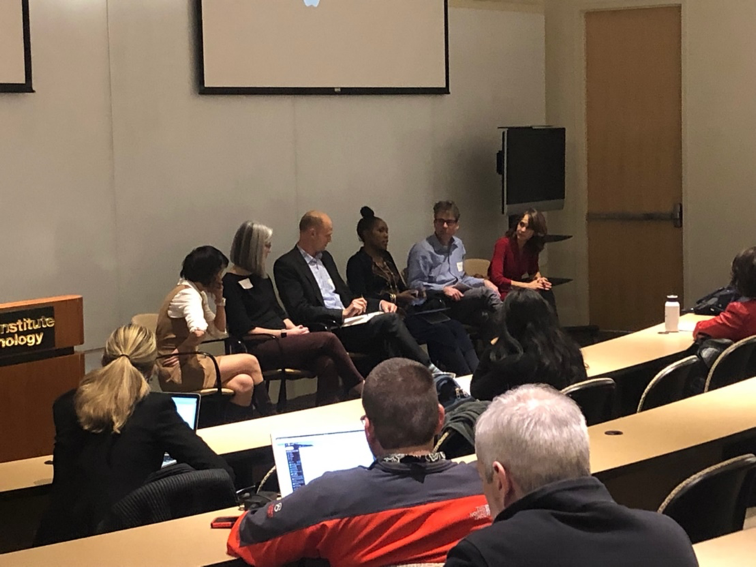 Researchers, city officials, entrepreneurs, industry specialists, and journalists from across the country gathered at Georgia Tech on January 8 to discuss this question. “Hot Cities 2050” hosted at Georgia Tech, looked at how global warming affects our cities and how we could change cities for the better or continue to exacerbate our problems, depending on how we plan for the future. 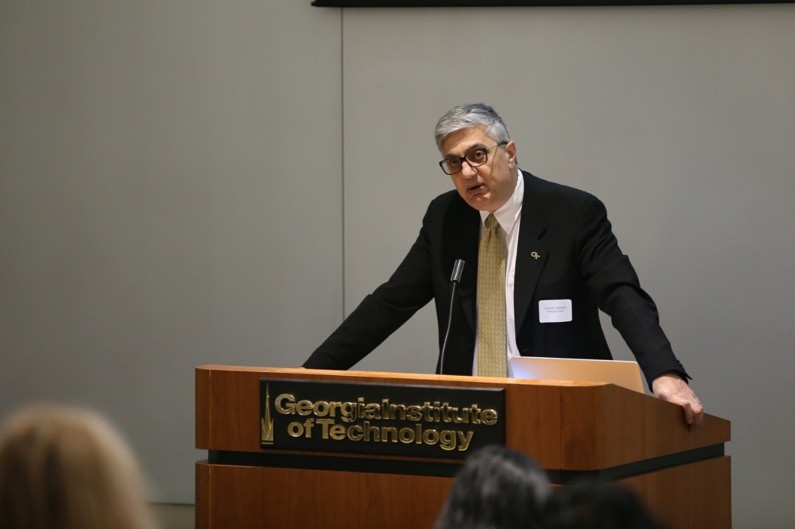 Chaouki Abdallah, Georgia Tech Executive Vice President for Research, presents welcome remarks for the Hot Cities 2050 Workshop. 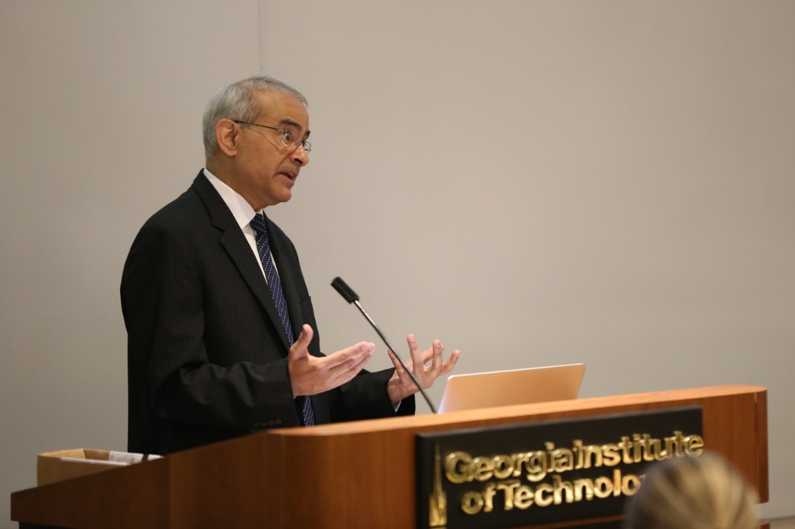 After a welcome from Georgia Tech Executive Vice President for Research Chaouki Abdallah, Yogendra Joshi, Professor and John M. McKenney and Warren D. Shiver Distinguished Chair, G.W. School of Mechanical Engineering, introduced the discussion topics of the day, including the importance of understanding and mitigating urban heat island effect. Dr. Yogendra Joshi, John M. McKenney and Warren D. Shiver Distinguished Chair in Building Mechanical Systems and Professor, provides introductions. 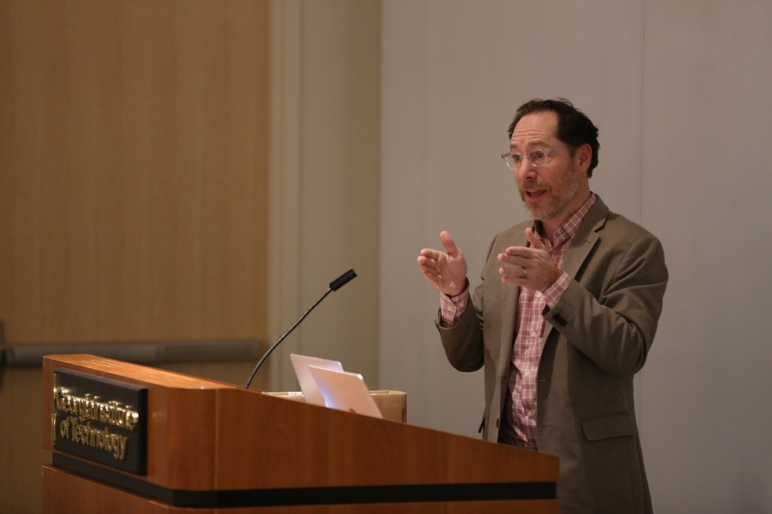 Brian Stone, professor in the School of City and Regional Planning and director of the Urban Climate Lab, is currently researching the spatial drives of urban environmental phenomena. According to his study, the global greenhouse effect and the urban heat island are major drivers of climate change. He strongly expressed concern about the rate at which cities are heating up with Phoenix and Atlanta topping the charts. 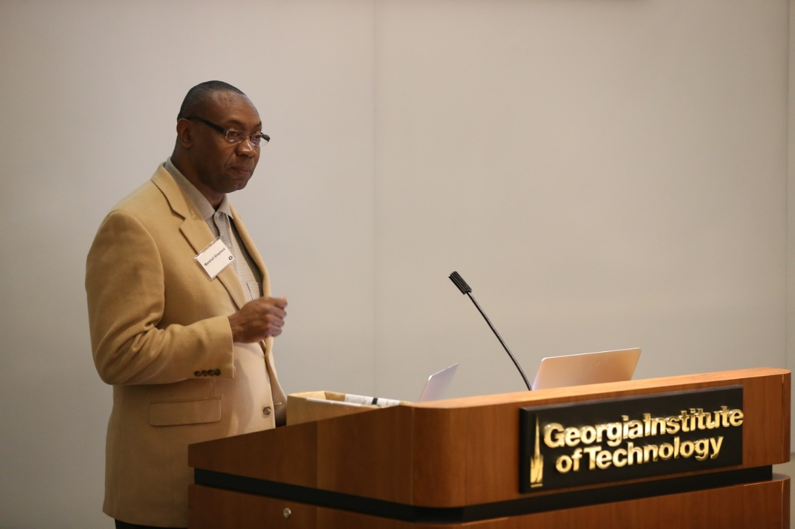 His research group has set up the “HOBO” sensor network across the Georgia Tech campus and Midtown Atlanta to monitor and provide valuable data regarding localized temperature distribution throughout the city. 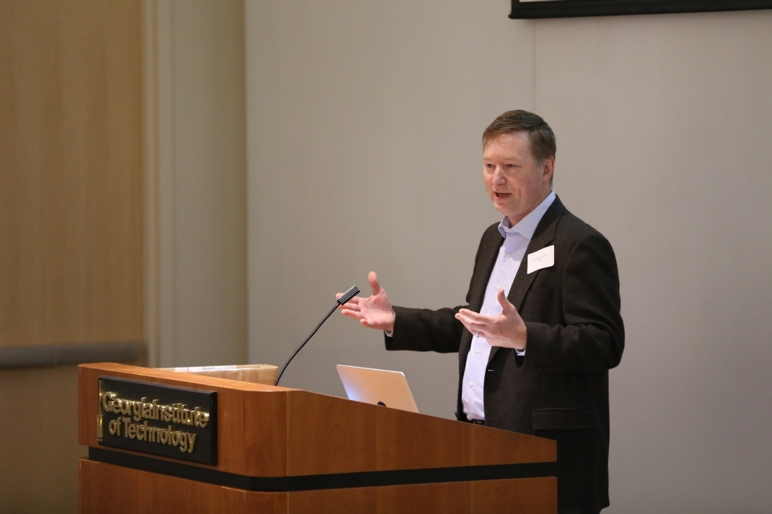 David Sailor, professor, School of Geographical Science and Urban Planning, and director, Urban Climate Research Center, Arizona State University, focuses on modeling across scales to explore the efficacy of heat mitigation strategies. The modeling of these strategies and scenarios helps with the uncertainty associated with the costs and benefits of different mitigation strategies. Scientists have developed projects to simulate baseline building mitigation scenarios and develop archetypes of residential and commercial buildings. Linking models across scales increases the accuracy of prediction which can provide decision makers with reliable estimates of costs and/or benefits for large scale actions. Marshall Shepherd, distinguished professor of Geography and Atmospheric Sciences, University of Georgia, primarily focused on the risks of climate change in urban Georgia. Due to the rapid urbanization in the past 30 years, entire counties in the state have become more vulnerable to heat issues with urban counties facing the most risk. His study hypothesizes that the increased aerodynamic roughness created by tall buildings increases turbulence and mechanical mixing that results in more frequent and stronger urban storms. Furthermore, marginalized populations are disproportionately affected by the urban heat island because of a lack of suitable heating and air conditioning options, resulting in higher mortality rates from heat-related scenarios. Marshall Shepherd, Georgia Athletic Association distinguished professor of Geography and Atmospheric Sciences, University of Georgia, presenting “Beyond the Urban Heat Island,” and leading a discussion on climate-related catastrophes." The discussion by Ada Gavrilovska, associate professor, Georgia Tech College of Computing and the Center for Experimental Research in Experimental Research highlighted the importance of connected cities and the new computing landscape. As the Internet of Things (IoT) and smart cities projects grow there is an increased data volume, which is now limited by bandwidth. With new work in edge computing, telecommunications technologies can now host the cloud creating a “leafier edge,” reducing the need for the centralized cloud. The future needs more fast and low latency networks to keep up with the growth of IoT solutions to modern problems. The panel, “Cities in Action: A Look at What is Happening on the Ground in Athens, Atlanta, and Phoenix” discussed important issues regarding cities becoming resilient to UHI effects, the most significant issue: educating the public on the facts regarding UHI and the upcoming epidemic. The current measures are not enough to curb the impact of climate change. Andrew Saunders, sustainability officer for Athens-Clarke County, mentioned that people are starting to become aware and currently, there are a couple of willing stakeholders in Athens. The recent focus on researching technologies towards mitigating climate change is a welcome change. Discussing, researching, and preparing for the future is required to understand the long-term effects. 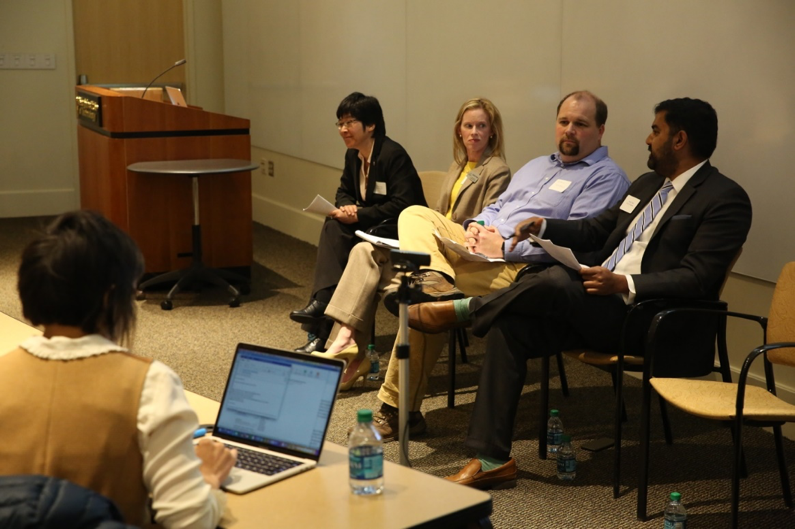 The panel on “Integrated Pillar Applications” discussed topics such as workforce development, the economy, and business sustainability as they pertain to UHI and smart cities. Cities are getting warmer, and new skill sets are needed to adapt to the environmental conditions It's crucial for researchers to minimize negative outcomes by gathering as much data as possible, making predictions, and educating people to tackle the problem efficiently. The challenge in how to utilize the data to improve the environment or the economy depends on how to make it easily interpretable by the public, not only academics, as they can only perceive them through the consequences of natural disasters (i.e., flood, tornado, etc.). 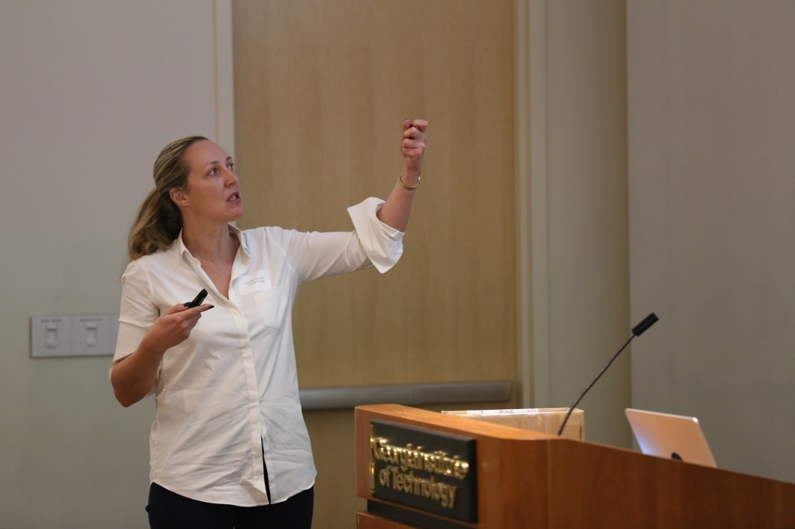 Sponsored by the Georgia Institute of Technology, the University of Georgia, and Arizona State University, this workshop was the first of series of three that will be held throughout the year. Athens, Georgia and Phoenix, Arizona will host upcoming Hot Cities workshops to continue the discussion of UHI and urban planning.